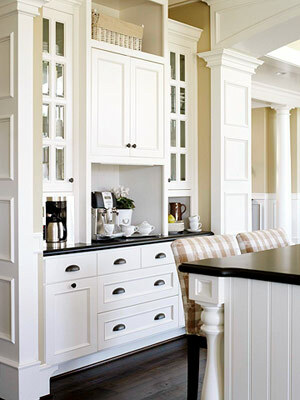 Lately I've been thinking of ways to update our kitchen. We did a few things when we moved in like updating the appliances and cabinet hardware but then we got busy working on other rooms so we left it at that. I am currently working on a project in that room and if it ever gets done I'll show it to you! I've already messed it up once and had to start all over. I'm calling it my epic failure. More on that later! 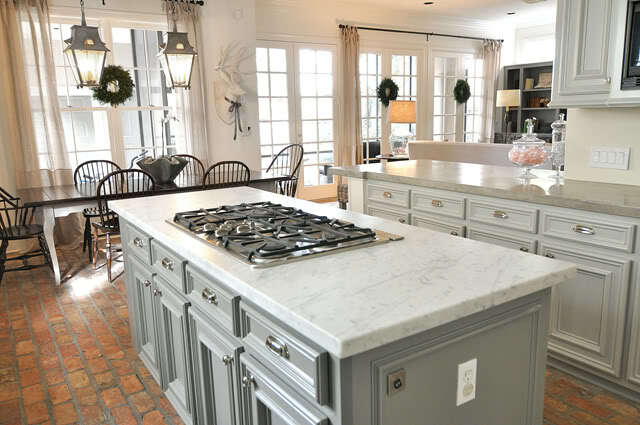 Here are a few photos of beautiful kitchens I'm using as inspiration to update ours. 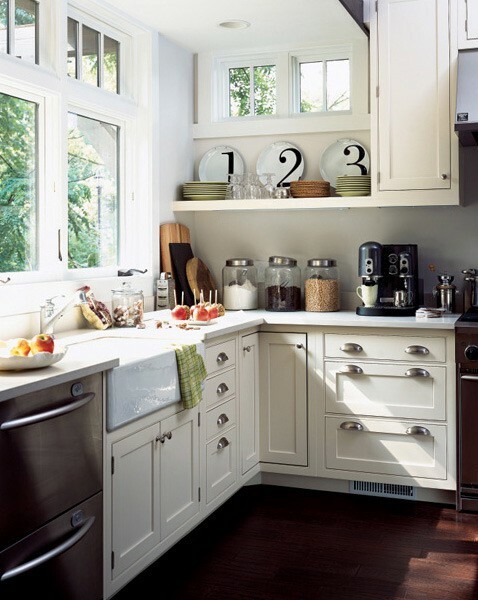 I love the glass doors and glass jars in this kitchen! I think I've seen those jars at Hobby Lobby and I know they go on sale for half off every now and then. Here is the rest of that kitchen. Isn't it beautiful? 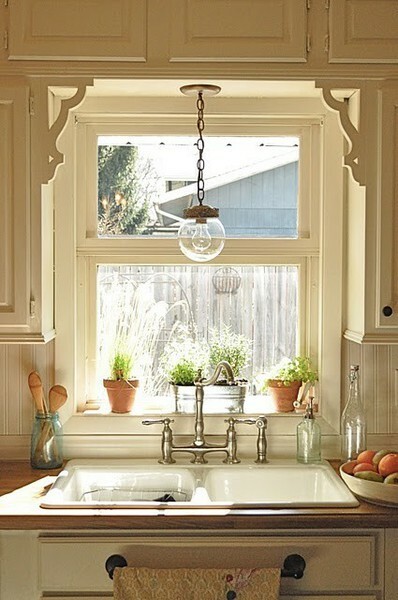 I love the sink, the light fixtures, the floors...everything! Click on the source link below to see the whole transformation. It's amazing! I'm totally loving those numbered plates! I'm thinking I can make something similar myself. I love the idea of putting a towel bar below the sink instead of hanging the towels on the oven door. 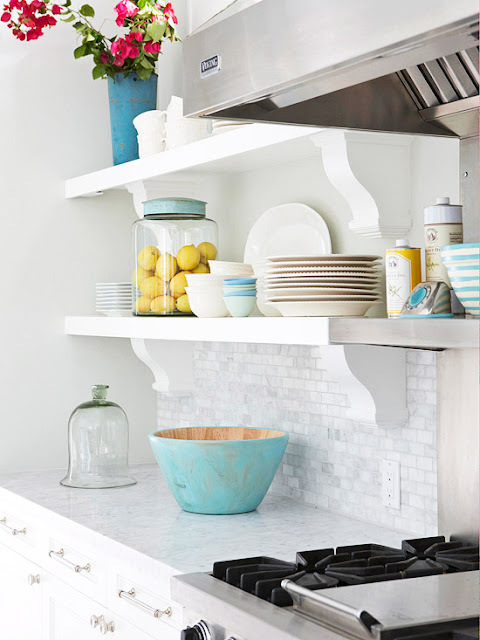 I love open shelving and I have a spot in my kitchen just perfect for it!! 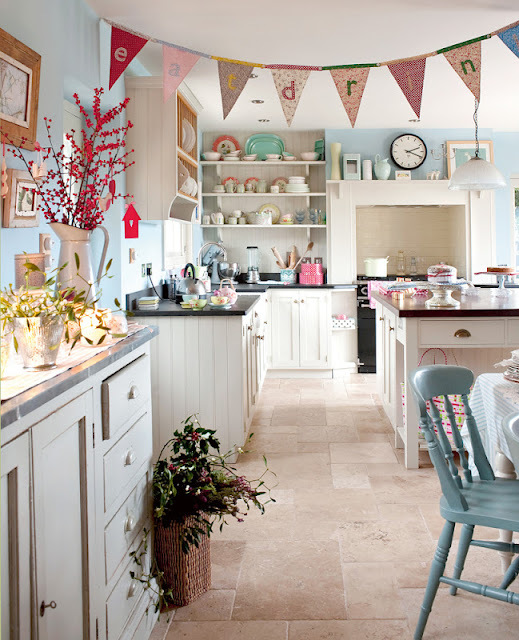 This Kitchen just makes me happy. I love all the pops of color.